Rapper Meek Mill was released from prison Tuesday per an order from the Pennsylvania Supreme Court. 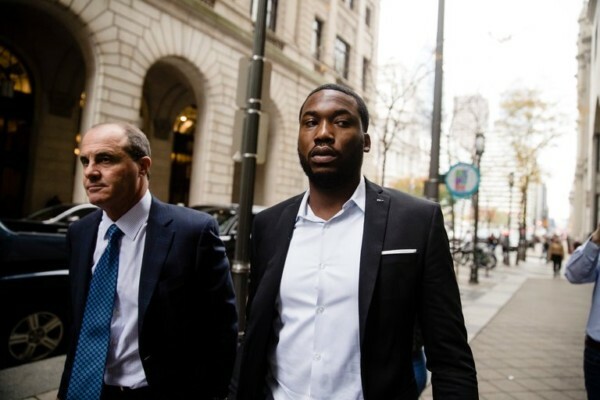 Meek Mill, the Philadelphia rapper whose incarceration on a decade-old drug and guns conviction set off a wave of protests from his fans and supporters, was granted bail on Tuesday after the Pennsylvania Supreme Court ordered his release. Also, the 30-year-old rapper, whose real name is Robert Williams, tweeted thanking his family and public advocates. Among those he tweeted included Philadelphia Mayor Jim Kenney, New England Patriots owner Robert Kraft and rapper Jay-Z. Meek Mill also said that he looked forward to resuming to his music career. Additionally, Michael Rubin, co-owner of the Philadelphia 76ers NBA team and the New Jersey Devils NHL team, reportedly picked up Mill from prison and boarded a helicopter. Rubin has been one of Mill’s many supporters and visited him several times in jail. Meek Mill was released at around 6:45 p.m. He attended Sixers playoff game against the Miami Heat, where he rang the ceremonial Liberty Bell at the Wells Fargo Center. Also, Meek sat courtside with Rubin and comedian Kevin Hart as the 76ers closed out the series 4-1.